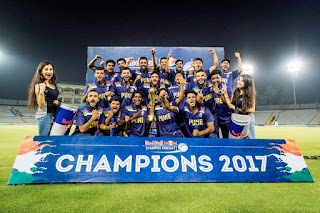 June 2, 2017: After 4 days of intense matches, Red Bull Campus Cricket 2017 National Finals comes to a spectacular end. MMCC Pune, the defending champions beat DAV Jalandhar to emerge the India Champions of the prestigious T20 tournament, which commenced with the city qualifiers on February 27th. MMCC Pune will be representing India again in the world finals of Red Bull Campus Cricket in Sri Lanka, later this year. 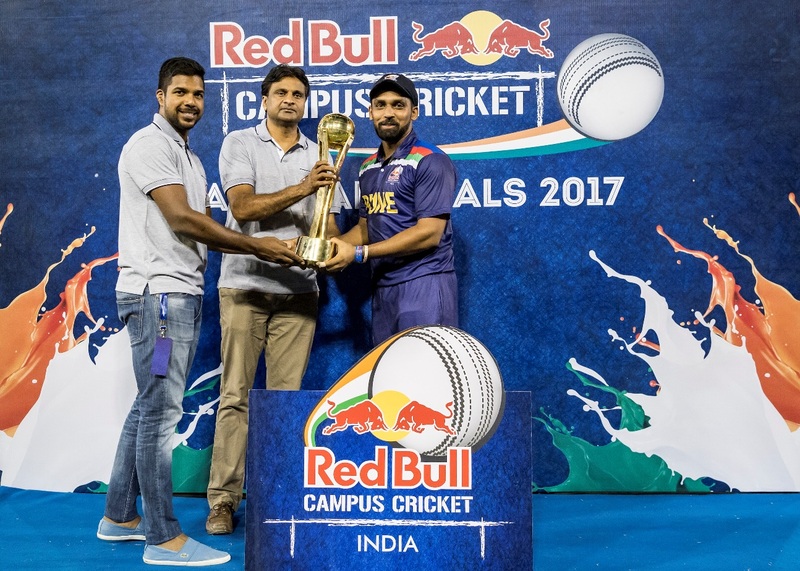 Red Bull Campus Cricket India finals were held from May 30st to June 2nd, 2017. It commenced with 8 college teams from across the four different zones in the qualifier round. The league rounds of Red Bull Campus Cricket National finals took place at Sector 16 Stadium, Chandigarh and JR Institute of Cricket technology, Barwala from 30th May to 1st June. MMCC Pune reached the semi-finals by beating Trident College, Bhubaneshwar by 6 wickets with 9.5 overs left, winning by 9 wickets against DAV Jalandhar and by beating Loyola College, Chennai by 27 runs. DAV College, Jalandhar beat Loyola College by 7 wickets and Trident College, Bhubaneshwar by 10 wickets to get through to the semi-finals while Marwari College, Ranchi beat Raghu Engineering College, Vizag by 5 wickets and won by 8 wickets against M.S. University Faculty of Commerce, Baroda to get through. Al Falah University, Delhi qualified for the semi-finals after winning by 92 runs against MS University Faculty of Commerce, Baroda; winning by 10 wickets against Raghu Engineering College, Vizag and winning by 82 runs against Marwari College, Ranchi. The semi-final match at Sector 16 on June 2nd witnessed a close game between DAV Jalandhar and Al Falah University Delhi where the former snatched a victory by 2 wicket by chasing the score of 124 with a six in the last ball. Vikram Singh was the man of the match with a knock of 24 runs and 2 wickets. At the start of the crucial final of Red Bull Campus Cricket National Finals, MMCC Pune won the toss and elected to bat. MMCC Pune set a target of 122 runs for DAV College Jalandhar to chase. DAV Jalandhar gave their best but fell short of 10 runs to the defending champions. With 24 runs from 18 balls and a crucial wicket, Rohan Damle was declared Man of the Match. Shubham Nagawade, captain of the winning team MMCC Pune “We were confident before the crucial final, the team played well and even though our score wasn’t that high, we gave our best and restricted them to a total of 112 short by 10 runs. The team is elated to win the prestigious T20 tournament and managed to retain the title of Red Bull Campus Cricket 2017 National Finals. We are excited to represent India at the Red Bull campus Cricket World Series Championship 2017 in SriLanka and we are confident to leave a mark at this big stage. MMCC Pune will now battle it out with teams from multiple countries at the Red Bull Campus Cricket World Series Championship 2017 in Sri Lanka in September 2017. 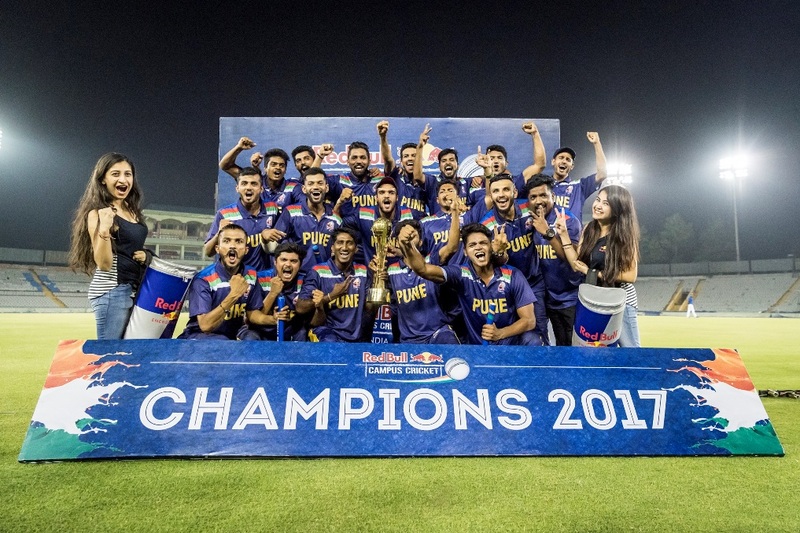 Red Bull Campus Cricket is the only global T20 cricket tournament for university cricket teams, serving as an international platform for young and budding cricketers to showcase their talent and hone their skills. The tournament is now in its sixth year. Bigger and better this year, 170 teams from 26 Indian cities are participating in the annual tournament. The tournament started on February 27th, with the city qualifiers, with the winning team progressing to the zonal/regional playoffs. Two teams from each of the four zones will then compete in the National finals, where the teams will play in the knockout rounds of quarterfinals, semifinals and finals respectively. The winning team from India will then represent the country in the Red Bull Campus Cricket World Series Championship 2017. Past national winners from India who have gone on to represent the country at the World Championships are Rizvi College, Mumbai; DAV College, Chandigarh; Swami Shraddhanand College, Delhi, and MMC College, Pune.